The dialogue will be followed by a similar meeting in India next year to promote pluralism and eradicate radicalism. 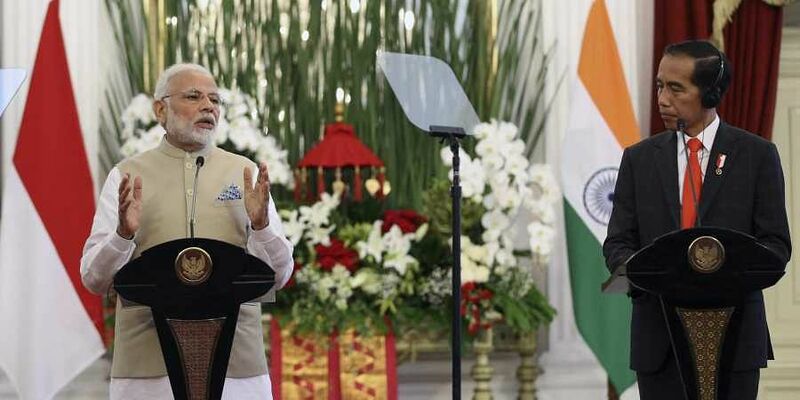 JAKARTA: The first India-Indonesia Interfaith Dialogue, decided during the maiden visit of Prime Minister Narendra Modi here, will be held in early October, the Indian Embassy here said today. Minister of State for External Affairs M J Akbar, who visited Indonesia this week, discussed with the Indonesian Foreign Minister Retno Marsudi, concrete steps to follow up on Prime Minister Modi's visit in May, the embassy said. The two sides also firmed up the arrangements for the upcoming 1st India-Indonesia Interfaith Dialogue to be held in the Indonesian city of Yogyakarta in October, the mission tweeted. During Prime Minister Modi's talks with Indonesian President Joko Widodo, the two leaders had agreed to organise an Interfaith Dialogue in Indonesia in early October 2018, which will be followed by a similar dialogue in India next year to promote pluralism and eradicate radicalism. Akbar also met with Dr Haedar Nasir, Chairman of Muhammadiyah - world's 2nd largest Muslim organisation and with Prof Dr. Said Aqil Siradj, Chairman of Nahdlatul Ulama and discussed tangible steps to ensure a successful upcoming Interfaith Dialogue, the mission said. The minister also paid a visit to Indonesia's National Mosque, the largest in Southeast Asia, Istiqlal Mosque and interacted with the Grand Imam Prof Kyai Haji Nasaruddin Umar. Prime Minister Modi and President Widodo had shared the view on the imperative need to eradicate radicalism and reiterated the importance of promoting peaceful pluralism that would lead to true civilisation harmony, and moderation through a holistic approach, a joint statement issued after their meeting in May had said. "Interfaith dialogue is a reflection of the united commitment of both countries to explore a new understanding on the rise of religious identities, the dynamic of pluralism and to eradicate radicalism, terrorism, and violent extremism," it said. Indonesia and India have pursued the ideals of pluralism, tolerance, rule of law and values of peaceful co-existence, the statement said. India has the second largest population of Muslims, after Indonesia.